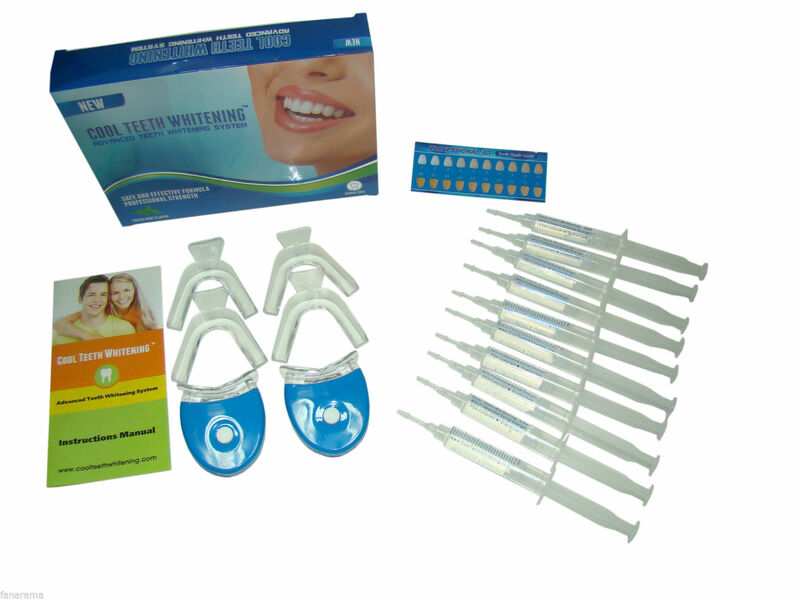 COMPLETE AT HOME TEETH WHITENING KIT – Our kit includes everything you need for pearl white teeth and a bright smile. 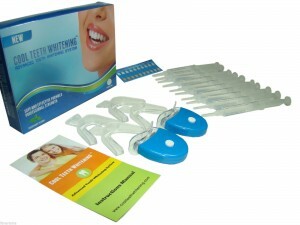 The enamel safe, professional strength premium teeth whitening gel will start making a difference in just minutes. You will be able to see impressive results with our 44% Carbamide Peroxide gel in only 15 minutes or less. 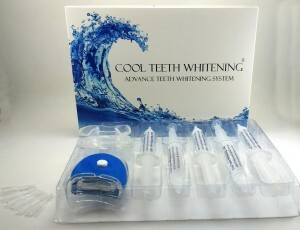 REMOVES COFFEE, WINE, AND TOBACCO STAINS – Get rid of those ugly stains for a younger and healthier smile. You will start noticing results immediately. 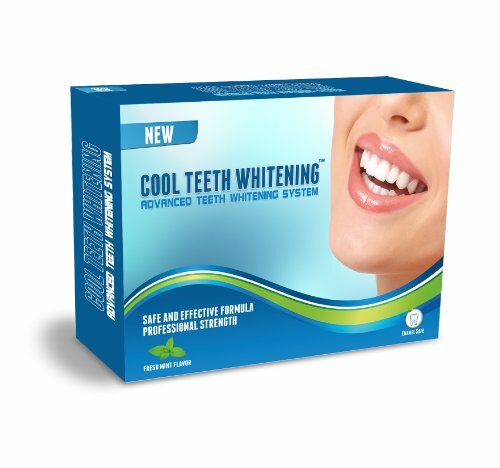 Our 44% premium quality Carbamide Peroxide gel is the exact same enamel safe formula that your dentist sells for 10x cost. Our kit comes with the trays and instructions. 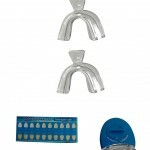 SIMPLE and CONVENIENT – Form the trays to fit your teeth in a few minutes and just add gel for a simple and convenient smile make over. 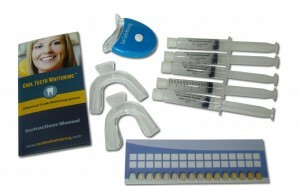 You will start noticing results after the very first treatment. 100% SATISFACTION GUARANTEED OR YOUR MONEY BACK – Love our complete at home teeth whitening kit or return it for a FULL REFUND. Please click to view a selection of our teeth whitening kits. 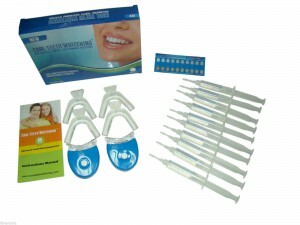 We also provide turn-key full service private label solutions for your brand. For custom kits and private labeling, please contact us. Hydrogen Peroxide is the main active ingredient of Carbamide Peroxide. The ingredients list has only the very basic elements, one of them being hydrogen peroxide. Hydrogen peroxide is combined with other elements and becomes Carbamide Peroxide. The amount of hydrogen peroxide used and the way it is combines determines the % off the carbamide peroxide. Carbamide peroxide contains hydrogen peroxide at a ratio of 1:3. For example, a product with 44% carbamide peroxide has about 15% hydrogen peroxide.